I wanted to put together a little guide for attendees that might be coming in for the convention which featured some tips and information on where to stay, transportation and other helpful stuff. Phoenix Comic Con does have hotel partners that offer special rates to attendees but some of them are sold out while others are over $100 a night. Downtown does offer great bars and the comedy club, Stand Up Live, which will feature Kevin Smith on the Saturday of the convention. 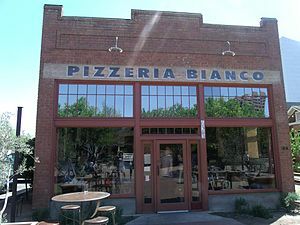 Also, you’ll find what many food critics believe is the best pizza in the country at Pizzeria Bianco which is within walking distance of the convention center. If you’re looking for other options that are not downtown but are still very close than you’re in luck. Who doesn’t want a few extra bucks for spending money at the con? 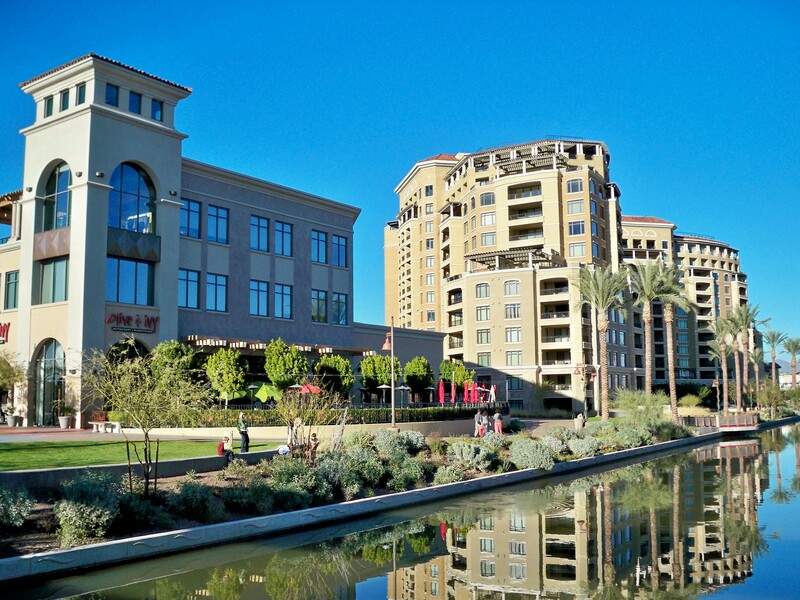 Tempe is the home to Arizona State so it does offer a wide assortment of inexpensive hotels. Staying in Tempe also gives you the chance to use the Valley Metro Light Rail (you can find a map here) that runs from downtown Phoenix to Tempe. The cost of an all day pass is $4 and will save you a few dollars on either driving your own vehicle downtown (which most designated event parking spots run from $10-$12) or using a taxi/Uber. Most of the hotels in the area run from $50 – $90 the weekend of Phoenix Comic Con. As far as night life and food options, Tempe is an excellent choice. Mill Ave is a large stretch of restaurants and bars (which typically stay open until 2 AM, very popular destination for the college crowd) that plays host to a variety of options. The Handlebar and Zipps are some of my personal favorites. Scottsdale is described by many as the “South Beach of the desert”. You’ll find plenty of hotel options in the city and because most tourism doesn’t happen during the month of June, you can get a nice hotel for not much more than the price of an average hotel. I would only recommend staying in Scottsdale if you have your own transportation because unlike Tempe, the light rail does not in run in between Scottsdale and downtown. The really attractive thing about Scottsdale is the sheer amount of restaurants that have acclaimed chefs and amazing food. With any upscale city comes the great nightlife and if you want to experience some of the best this side of Las Vegas than you’re in for a treat. If you’re on a budget however, you should look into staying else where because food prices can get a little pricey at some places in Scottsdale. Something that is popular with convention goers and a bit unique are bed and breakfast locations, most are the same price as an average hotel but it is bit of a different experience. This site has a bunch of options for b&b’s in Phoenix. The actual convention itself is held in the north building of the convention center. That is where you will find the exhibit floor and panels, however this year it looks like registration has been moved out of the north building and across the street into the south building (if you have attended Amazing Arizona Comic Con in the past two years, the south building houses that con). Surrounding the convention center are many places to eat and if you want to purchase some snacks or drinks and not pay the convention center price, you can find a CVS drugstore at Cityscape which is within walking distance of the convention center. If you’re driving into the city and looking for parking, you can try the Bank of America Tower or one of the many lots that surround Chase Field or US Airways arena. If you’ve never been to Phoenix during June, it gets hot as I am sure you know but I would suggest keeping your hotel room stocked with bottle water and to make sure you bring some with to the convention as well. If you stay near a QT gas station, that is your best bet because they are some of the cleanest facilities in the city and have some of the best prices around on drinks and snacks. Also, keep the weather in mind when deciding on your hotel if you plan cosplaying. If you’re going to be wearing something that is heavy, I would recommend staying as close to the convention center as possible because you don’t want to be walking for blocks in the heat that will be probably reach 100 degrees or more (the average for that weekend is historically a high of 102). Don’t forget the comfortable shoes as well. This is more of general convention suggestion but you’ll be walking a lot from the exhibit floor or to and from your hotel/vehicle. If you’re cosplaying, bring an extra pair of shoes and live them in your vehicle for when your feet start to get tired. Planning on taking some time during the convention to explore what Phoenix has to offer? Friday, June 6th, you can catch an Arizona Diamondbacks game which is the only baseball game of the weekend and is pretty much across from the convention center. If you want to keep your exploration of the city geek themed than might I recommend All About Comics (located on Central and Camelback, 15 minutes from downtown Phoenix), which might have the most comic inventory in the state of Arizona (the place has a separate room dedicated to $1 comics for crying out loud). Down the street from All About Comics on Camelback is also one of the three Samurai Comics located in Phoenix. 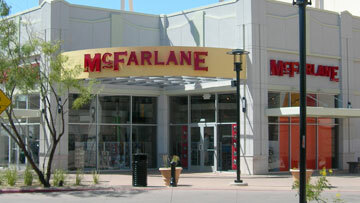 Todd McFarlane also has his flagship McFarlane Toys store in Glendale at the WestGate plaza but keep in mind it is around a 30 minute drive from downtown Phoenix, even further if you are staying elsewhere. If by chance you want to visit the largest mall in the southwest (and probably the priciest), you can find the Scottsdale Fashion Square in downtown Scottsdale. This mall features some of the largest names in luxury retail Prada, Luis Vuitton and Tiffany & Co. If nature is your thing, the city offers both the Phoenix Zoo and the Botanical Gardens, which are next to each other and are great experiences. That should just about do it! If you think it is missing some vital information, please let us know and we can update this (still plenty of time!). Just remember, stay hydrated!